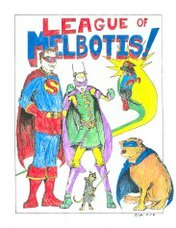 League of Melbotis: Superman: Cartoons, Commies, Movie Rumor Repeat, Conspiracy! I remember being mostly bored by Firefox. It was the first in a long line of Eastwood movies that have bored me (Unforgiven, the rob-the-president one, a couple of others). No way! It had that awesome chase scene over the Urals, and all the sneaky espionage-y stuff before that. Also, I haven't seen it since '87 or so. 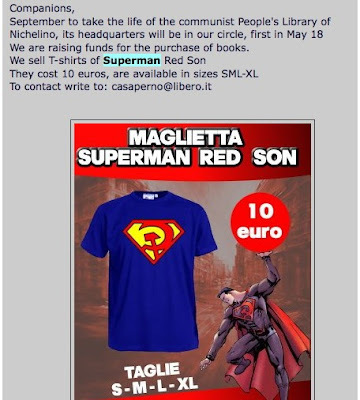 Hang on a second, the italian COMMUNIST party is SELLING shirts. Methinks by working something else is breaking. I do not fail to see the irony. Maybe as long as the money goes back to the kollective, its ok? I have no idea how this works.